SAN FRANCISCO (KGO) -- It may seem like the storm is dying down, but we are not out of the woods yet. 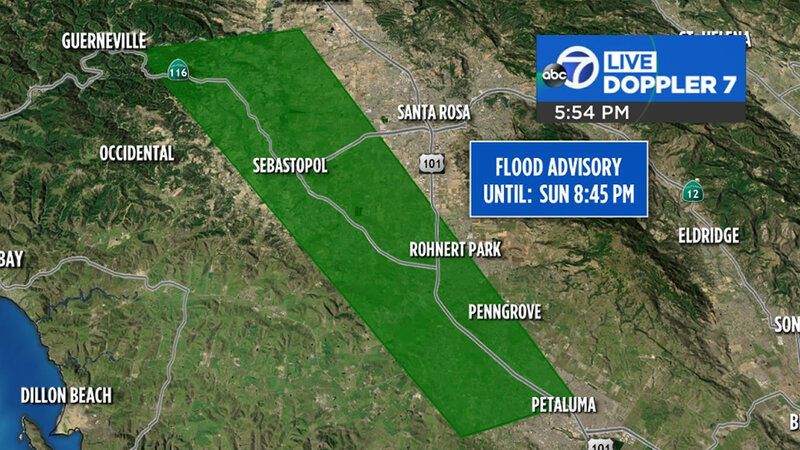 A Flood Advisory is in effect for several North Bay cities. The advisory lasts until about 9:00 p.m. Sunday. Do not attempt to drive though flooded roads. Get the latest weather updates 24/7 where you live.